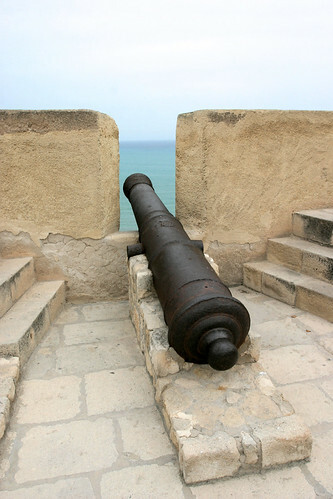 Cannons, tigernuts and stone women, oh my! Gema (from Spain) and Sergio (from Cuba) were our tour guides through Elche, Alicante and Valencia. 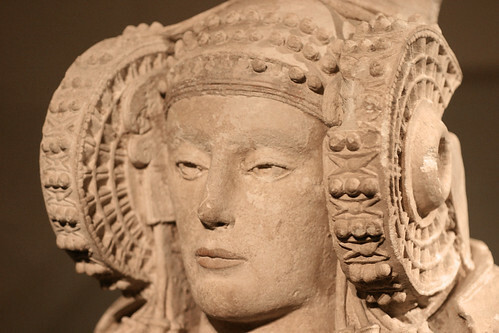 We visited the Lady of Elx, the City of Arts & Sciences, and the Castle of Santa Barbara. Before meeting Gema, I had never heard of Elche. Unfortunately, the one evening I didn’t bring my camera, we walked through the most scenic areas. It looked like a Hollywood backlot, some kind of Spanish Disneyland. Everything was clean and beautiful and layered with history. 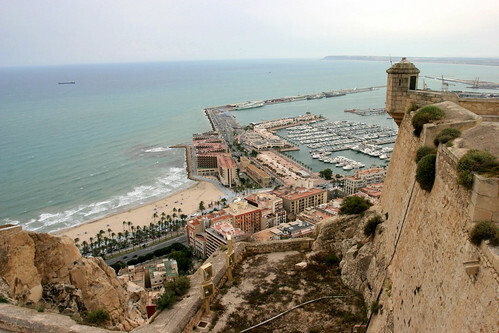 On the drive from Elche to Valencia, we drove past three castles each only a few miles from the next. I tried to imagine what kingdom life must have been like, but scenes from the Lord of the Rings started overtaking my own royal hallucinations. Amidst the shame of my pop culture brainwashing, I did decide a future dream home must be a castle. Or at least have cannons. 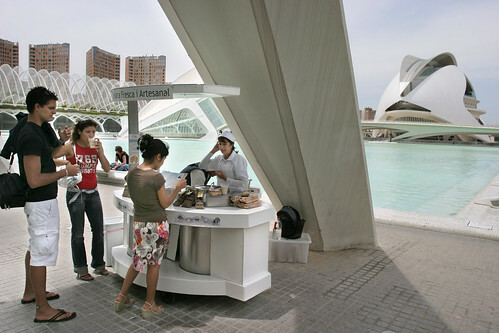 At the City of Arts & Sciences (Ciutat de les Arts i les Ciéncies / Ciudad de las Artes y las Ciencias), we were surprised to see a cart selling orxata. 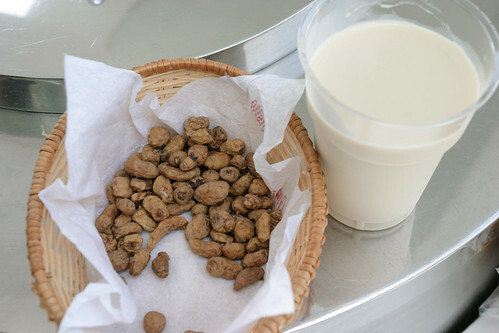 For two euro, we sampled this local drink made from tigernuts (chufas), sugar, and water. It tasted surprisingly like Mexican horchata. It definitely hit the spot in the heat. Back in Elche at Gema’s parents’ home, we ate home cooked Valencian cuisine and had our fair share of healthy political discussions with lots of loud voices. Rosario brought several jalapeño chiles with her, and shared a few pieces with our hosts. Gema’s 86 year-old grandmother proved to be the macha of the bunch, enjoying several large pieces of a raw jalapeño. After the first bite, I was afraid Rosario had just killed her. But after the initial shock dissipated, she went back seconds. Now four days into our trip, we flew to our next stop, Barcelona.